You may have heard the word, but do you know what a VoIP phone system is? A VoIP phone system is a communication system that enables the transmission of voices over any IP network. An IP network can be through the internet or a private network. All calls can be made over these networks. VoIP has become very popular in recent years due to cost and flexibility and is helping many small and medium business to grow and expand. A VoIP phone system depends on a network that employs Internet Protocol (IP) for voice communications. An IP network is usually part of a local area (LAN) network. 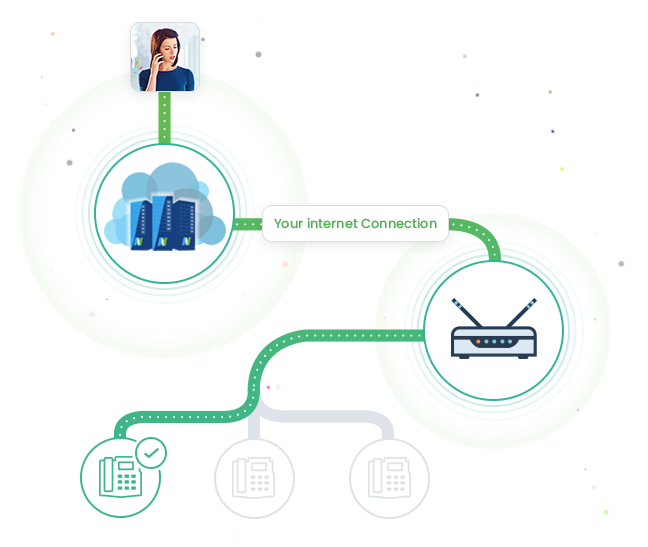 An IP network is a communication network that uses Internet Protocol (IP) to send and receive messages between one or more computers. As one of the most commonly used global networks, an IP network is implemented in Internet networks, local area networks (LAN) and enterprise networks. This means that voices can be relayed over the internet. A VoIP phone system works by simply converting the voice of a speaker into data that is then routed to a phone number. When a person picks up the phone this data is then converted back into the voice of the speaker. What do you need for a VoIP phone system? It is as simple as an internet connection and a computer with a headset. There is no need for any expensive equipment such as an in-house server and many VoIP phone systems work with traditional phones. You can also get softphones or browser phones which allow for calls straight from your computer. Because the system works over the internet there is no need for traditional landlines however VoIP providers such as NUACOM can provide specialised VoIP phones for your business. This system has many more capabilities than a traditional phone system. The features of a VoIP system include call conferencing, auto-attendant, call conferencing and call recording. This means that a business can have a highly unified and integrated phone system. VoIP calls are often very cheap and in some cases, completely free. The main reason why many companies are turning to VoIP is for its cost. After all, most businesses seek communication tools that are really effective and help cut down on cost. VoIP is not only affordable but also provides high­quality interaction between the staff and the clients. Individuals with a mobile device or a computer are able to make calls worldwide as long as they have access to the internet. Skype was one of the pioneering applications that drastically increased VoIP’s popularity. When VoIP is used to completely replace PSTN services, one has to pay for it. However, the prices are still a lot cheaper compared to standard phone calls. The greatest benefit associated with making calls with VoIP is that the cost of international calls is reduced by about 90%. Advantages of a VoIP Phone system? 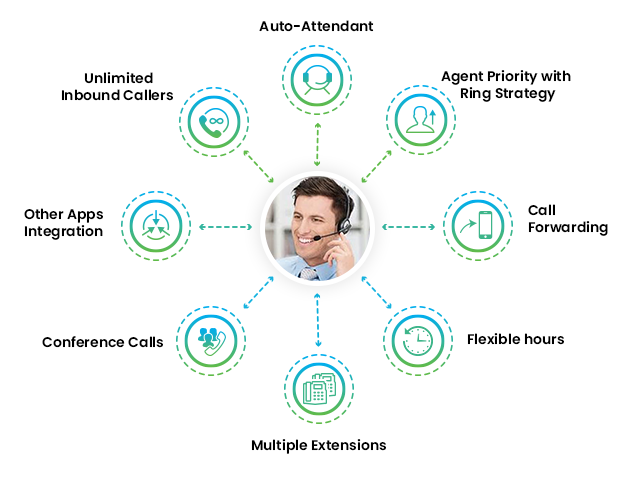 There are many advantages to this form of a business phone system. Because it works over the internet the cost of calls is cheaper. A sales team can make more calls, generate sales leads and close deals faster. It is also possible to secure international numbers and this will allow a business to have a local presence in a foreign market. The assorted features such as call queuing, conferencing, call grouping and the automated attendant can all be used for better customer service and to enhance staff performance. Here at NUACOM, we have taken it even further and integrated our phone systems with platforms such as Salesforce, Hubspot, Pipedrive and Zapier. This integration allows for effortless data management with call recording, call logs, signals and triggers based on customers engagement. If you want to find out more about VoIP phone systems please contact us at NUACOM. We are one of Ireland’s leading providers of VoIP business phone systems.